Sometimes despite my best intensions, bad things happen. To neutralize a situation, I move a student’s seat, only to have her sit smoldering the remainder of class, scribbling profanities about me on the desk in permanent marker. After a weekend away, I open my fridge to discover I have exactly ten clementines on the verge of going bad. You’ve seen the signs before. Slightly squishy. A few with mold creeping up the side. They are not the cherubic globes of cuteness they once were. It would be tempting to dump the whole lot into the trash and forget about it, but frugalist tendencies instilled by my Italian grandmother brought me to a quick google search for clementine recipes, and friends, I’m so glad it did. 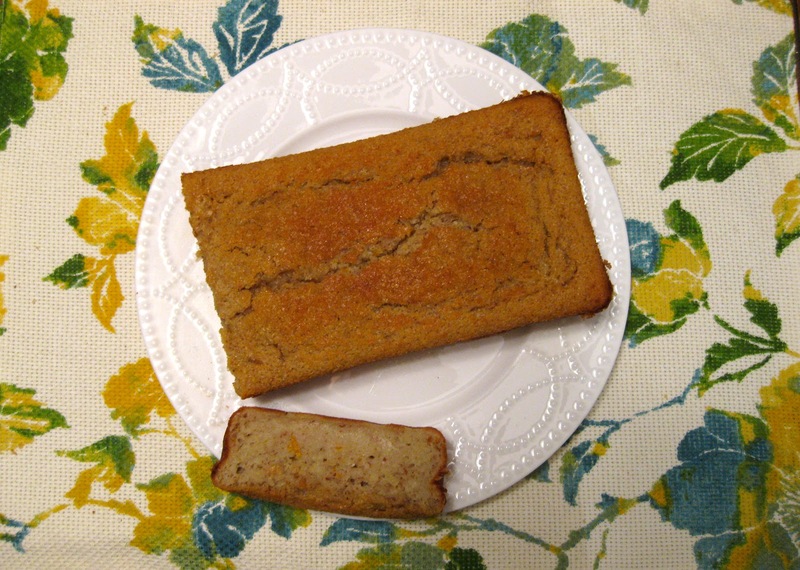 After finding this recipe for clementine vanilla quick bread, I am never going back. I might even buy old clementines just to make it. I modified the recipe quite a bit. The original called for vanilla beans, which I am not fancy enough to possess, as well as heavy cream, which I did not have in my fridge at the time. To amp up the protein, I substituted half of the flour for almond meal and the majority of the butter for greek yogurt. The result is denser than sandwich bread, but still sweet, nutty, and oh so fragrant. It’s perfect for breakfast, and has a little more staying power than your ordinary bread. If you make this bread, you must must MUST smell it right after it comes out of the oven. The citrus and vanilla are a dream together—comforting and luxurious, yet somehow perfect for a cold January morning. Lesson learned. When bad things happen, bake bread. 1.) Preheat oven to 350 degrees. Butter and flour a 5 by 9 inch loaf pan. Zest enough clementines to produce 1 tablespoon zest. (I used 5) Cut and squeeze enough clementines to produce ¼ cup juice. 2.) In a medium bowl, combine clementine juice, almond milk and vanilla extract. In a separate bowl, whisk together flours, baking power, baking soda, and salt. 3.) With a mixer, beat zest, sugar, butter, and yogurt on medium speed until combined. Add egg whites one at a time. 4.) Reduce speed to low and alternate adding the juice and flour mixtures, beginning and ending with the flour. 5.) Pour into pan and bake for 60 to 65 minutes or until toothpick inserted comes out clean.